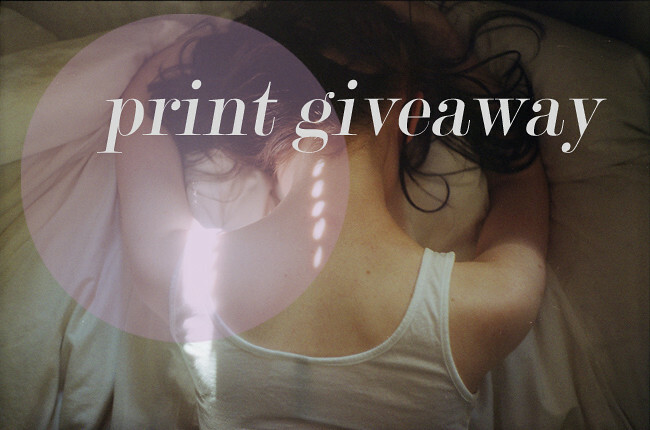 annette pehrsson / blog: print giveaway! Click on the like-button on the print giveaway post/photo and leave a comment below it. On Wednesday next week (november 9th) I will randomly choose 3 people who will get to choose 3 prints of their very own liking. The prints will be 4x6 inches (10x15cm). If you choose images that are square or another format the size will be altered to fit those as well. You can enter the giveaway no matter where you are in the world, I will ship the prints anywhere. The prints will be sent to you via regular airmail. I hope you like it! If you have any questions about this at all, feel free to ask me here at the blog. Thank you so much for your kindness :) I really want to win the print! I'm very excited ♥ and I'm in too! I would love to win too !